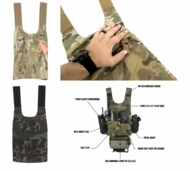 The LV119 Front Plate Bag requires a Rear Bag and Cummerbund for proper operation. The LV/119 C O V E R T Front Plate bag is a slick no frills solution for those who need hard plates in the lowest profile. A 3" x 5" velcro patch is sewn on for IR identifiers, patches or our jumbo flags. The bag is set up to run either slick or with a placard. 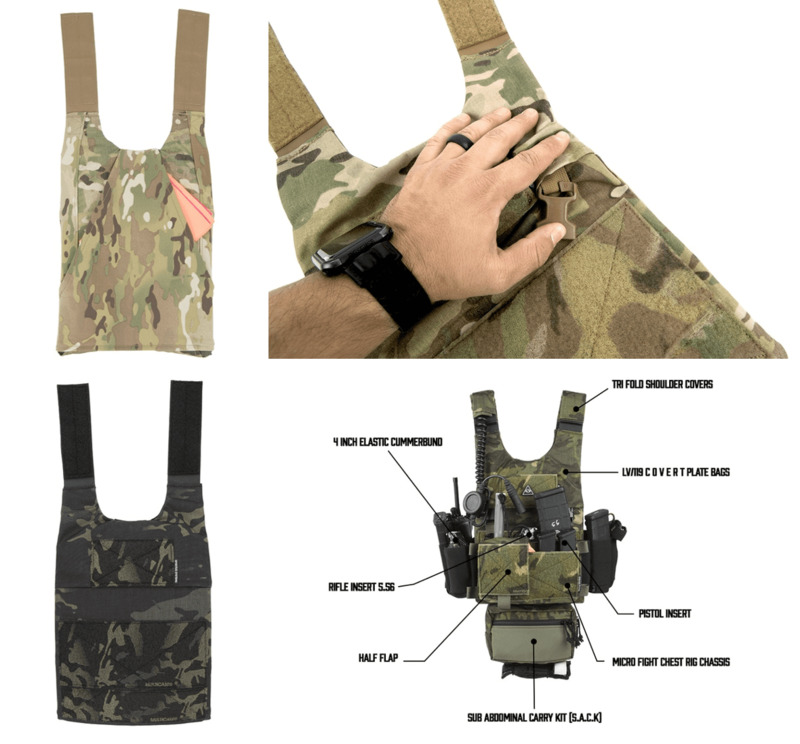 Simply attach the included 1" ITW NEXUS hardware buckles to the hidden webbing loops to and attach your Micro Fight Chest Rig or other placard. Behind the front bag is a "Map Stasher" pouch. 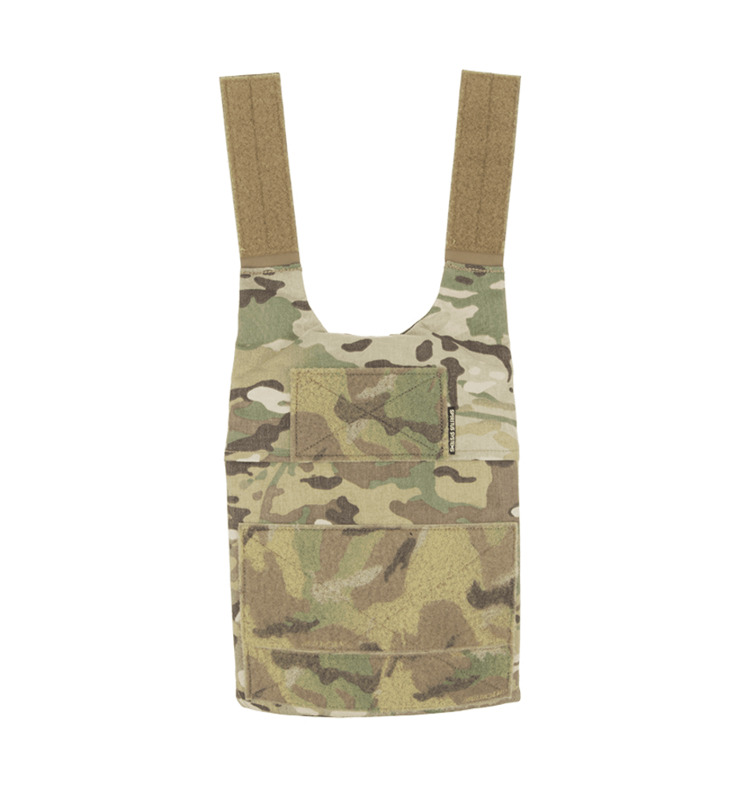 This makes it easy to stow thin and commonly used items such a map or VS-17 marking panel. Plate Fitment- The carrier was designed to snuggly fit United States Standard Issue SAPI cut plates. The bags were built to accommodate "thicker" plates but they may not fit plates that are NOT cut to the SAPI specs. 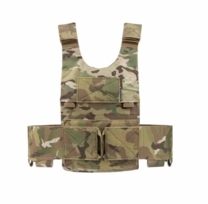 NOTE: The LV119 Front Plate Bag is part of the LV119 Plate Carrier System. This item does not include a Rear Plate Bag, Cummerbund, Shoulder Covers, Placards, or any other accessories. Additional components are required for proper use.